I learnt that it takes both parents to be mature enough to be aware of their children, and how their decisions are going to impact their lives. Divorce for any young child is one of the most crucial and defining moment of their lives. Sure, it gets better with time, but it never ever leaves you. Being a 15 or 16-year-old is not easy. This is the age when stress and exams overtake their lives and their decisions start to have a greater impact on what they do. Decisions now will determine the sixth form, college, apprenticeship or other opportunity they go onto, so it is very important that they are physically and mentally prepared for this crucial period. They need, therefore, all the support and encouragement from their parents that they can get. This stage is a developmental milestone for your teenager. During this time physical and behavioural changes might become more and more evident to you. Their emotional growth might make them more likely to want to be involved in decisions that will influence their lives. Just because divorce is more common, it does not mean that it will upset your teenager less. They might pull away and become less communicative. They might need more time to express their feelings and understand how the separation will affect them. Common reactions are anger, academic under-performance, sleeplessness, defiance or even signs of depression. Teenagers between 17 and 18 years old are starting to enter the very early stages of adulthood. They become more stressed, particularly if they are continuing studying, moving into their own home or seeking/starting a new job. As they start making plans for their future, they will realise the impact of their decisions. In going through this, they need extra support from their parents. If they are leaving home, this in itself can be overwhelming, so you need to ensure that your separation will not distance them. Although this might be difficult for you as well, put your energy into having a good relationship before they leave. Help them look for courses/jobs and offer them help with accommodation, furniture and household goods. 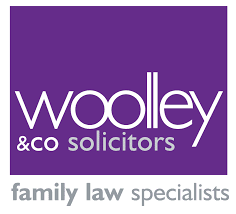 Our conversation guide for parents of teenagers has been created by our Voices in the Middle young people with the support of Woolley & Co Solicitors. More content and videos can be found on their website.